Beth | KBK Bakery's Adventures in Baking! 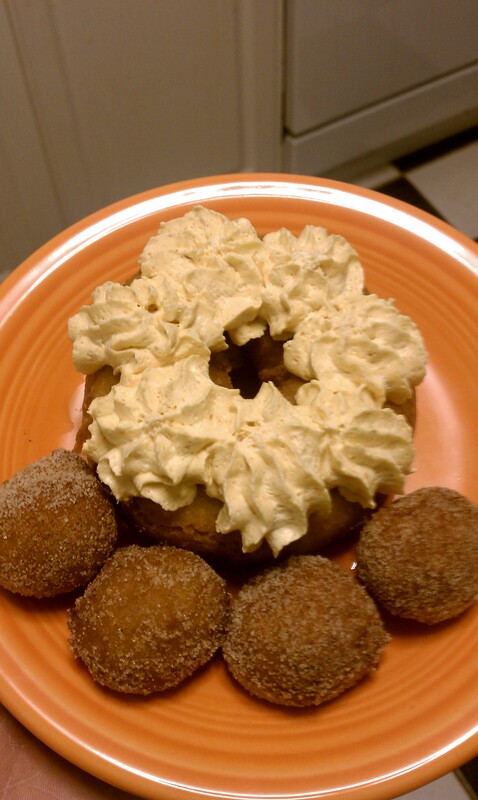 I have been thinking about trying to make my own doughnuts for a while now and pumpkin seemed very appropriate for the season so I went with the recipe from Epicurious. I wanted a bit more spice to my doughnuts so I doubled the spices in the original recipe and added some cardamom. I also am currently obsessed with Stash’s Chai Spice Tea so I added a bit of that as well. 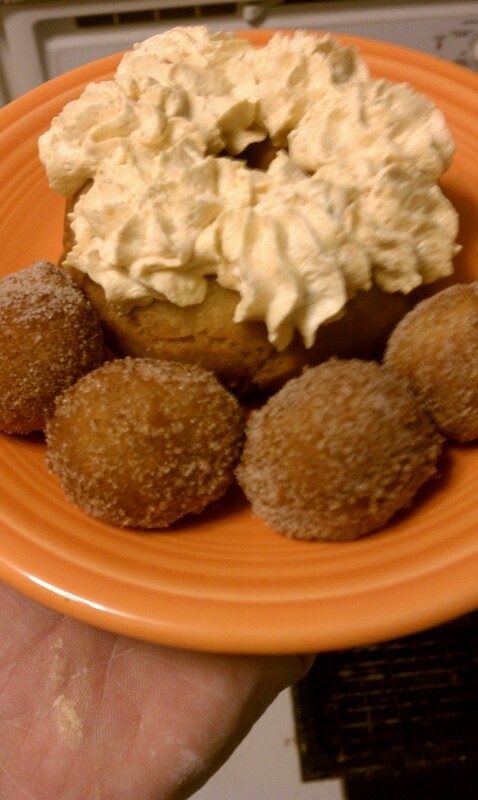 The doughnut holes got a ride in a bowl of cinnamon sugar and the doughnuts received kisses of pumpkin frosting. My co-baker Beth preferred the cinnamon sugar ones, but it was all about the pumpkin frosting for me. Enjoy! 1. Whisk together the first 8 ingredients in medium bowl to blend. Using electric mixer, beat sugar and butter in large bowl until blended (the mixture will be grainy and not smooth). Beat in egg, then yolks and vanilla. Gradually beat in buttermilk and tea; beat in pumpkin. Using rubber spatula, fold in dry ingredients in 4 additions, blending gently after each addition. Cover with plastic; chill 3 hours. 2. Sprinkle 2 rimmed baking sheets lightly with flour. Press out 1/3 of dough on floured surface to 1/2- to 2/3-inch (12 mm to 15 mm) thickness. Using 2 1/2-inch (65 mm) -diameter round cutter, cut out dough rounds. Arrange on sheets. Repeat with remaining dough in 2 more batches. Gather dough scraps. Press out dough and cut out more dough rounds until all dough is used. 3. Using 1-inch (25 mm) diameter round cutter, cut out center of each dough round to make doughnuts and doughnut holes. and heat oil to 365°F to 370°F. Fry doughnut holes in 2 batches until golden brown, turning occasionally, about 2 minutes. Using slotted spoon, transfer to paper towels to drain. Fry doughnuts, 3 or 4 at a time, until golden brown, adjusting heat to maintain temperature, about 1 minute per side. Using slotted spoon, transfer doughnuts to paper towels to drain. Cool completely. Cream cream cheese in mixer until smooth. Add pumpkin pie spice and powdered sugar and beat until incorporated. Gently fold in Cool-Whip. Pipe onto doughnuts. Refrigerate any unused amount. •	some of the items you may want to use to decorate your piece montée include ribbons, Jordan almonds, fresh flowers, sugar cookie cut-outs, chocolates, etc. Can be stored in a airtight box overnight. Once you are ready to assemble your piece montée, dip the top of each choux in your glaze (careful it may be still hot! ), and start assembling on your cake board/plate/sheet. Continue dipping and adding choux in levels using the glaze to hold them together as you build up. (You may want to use toothpicks to hold them in place – see video #4 below). I found this recipe on Peabody‘s blog the other day and thought it would be perfect to make on Saturday. You see on Saturday, some of my girlfriends and I got together for my friend Beth’s bachelorette. She wasn’t really interested in going out and wooping it up, so we had a Baking Bachelorette. Everyone came over, brought their pj’s, their favorite alcohol, and a recipe with fixings to bake. Whenever I think of a sleepover I think of Girl Scout camp at Bear Creek and S’mores, so this was the perfect recipe to stumble upon. The bars are FANTASTIC!! They are sticky and gooey and just… mmm! Scrumdidiliumptious! Thanks Peabody for hooking me up with such a winning recipe! Line a 10 x 15x 2 inch glass baking dish with foil, leaving a 1-inch over hang around the top edge of the pan. Smooth out any big wrinkles in the foils and then lightly coat the foil with nonstick cooking spray. Combine the graham cracker crumbs and sugar in a small bowl. Gradually add the melted butter until the crumbs just hold together when squeezed in your palm. 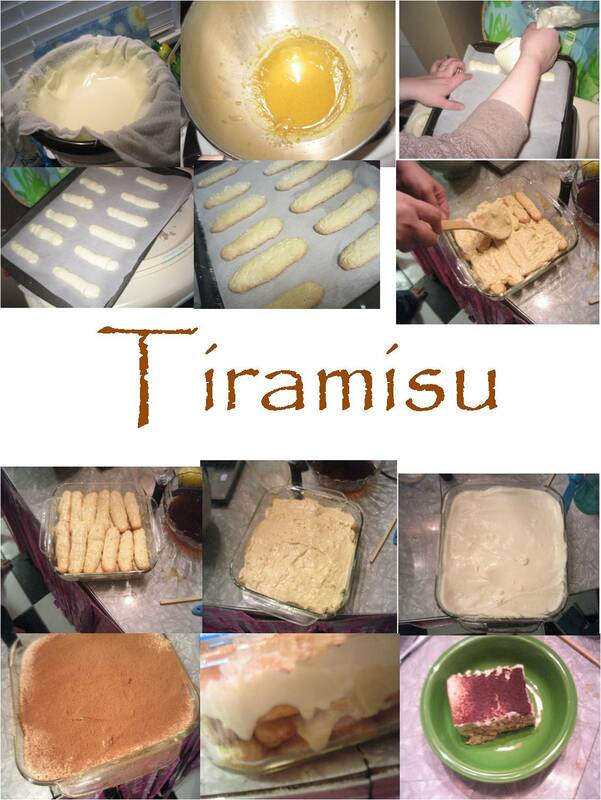 Press the mixture into an even ¼ inch layer on the bottom of th prepared pan. Run a smooth bottomed measuring cup over the crust to pack and level it. Combine the chocolate and butter in a large bowl that fists a double boiler. Place the bowl over barely simmering water and stir as needed until the chocolate and butter are melted. Remove from the heat and whisk in the sugar, followed by the beaten eggs and vanilla extract. Stir in the flour, mixing until smooth. Pour the batter on top of the graham cracker crust and level with a small offset spatula. 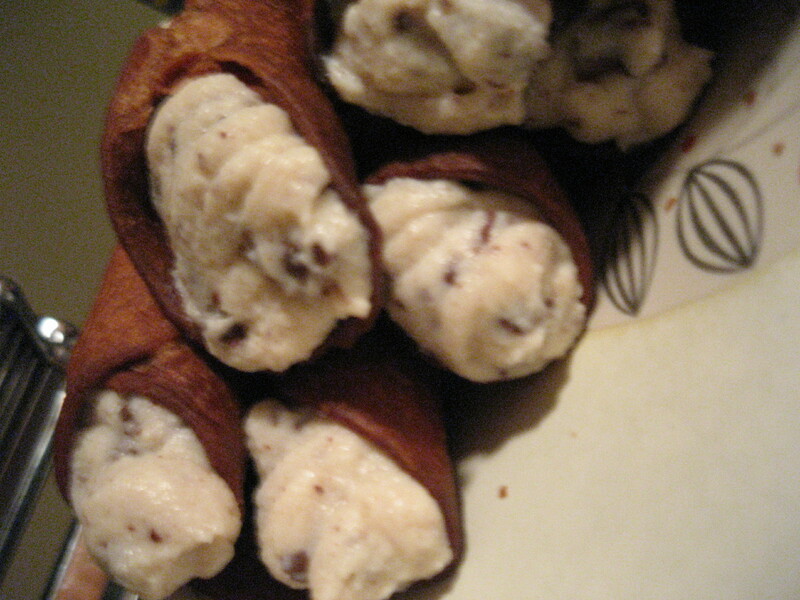 Scatter chopped nuts evenly over the batter. Bake 30-35 minutes, or until cake tester inserted in brownie center comes out with dark, damp crumbs on it. Do not overbake. Set on a wire rack and cool completely in the pan. Distribute the marshmallows evenly over the brownie top. Place the pan under the broiler in the top third of the oven for about 1 minute, or until he marshmallows are puffy and golden brown. Watch carefully and rotate the pan regularly, as the marshmallow can easily burn. Cool until the topping is firm and easily cut without sticking. Remove the brownies from the pan in one block by gently pulling up on the foil overhang. Place directly on a cutting board. Remove all foil and cut into 2-inch squares. For the neatest cuts, use a sharp knife, wiped clean with a warm, damp cloth between slices. This recipe started out pretty well. We (Beth and I) mixed up the sponge batter. Took a little bit to get the whites whipped due to a 6 qt. Kitchen Aid, but we managed. We split them into 6 pans, baked them up and set them to cool. We sat around for a little while taking care of my twins, talking, and watching TV. Once we had my girls settled we started to tackle the buttercream and the caramel. Now, I would like to preface this with the information that I have made buttercream dozens of times and caramel almost as many. Now the caramel… This was a stunner. I mixed my ingredients. Put it in the same size saucepan I always use. Put it on Beth’s electric stove and whisked. Bubbles escape! Much hissing insues and the whole kitchen now smells like a burnt marshmallow. I pick up the pot. Swirl it around a bit, put it back on the heat. Bubbles start to rise again. Pick up. Swirl. Repeat. I have been baking a long time and I must say this was a first. After a few seconds of panic and a little fanning, I simply lean over and blow it out. Goes out just like a marshmallow. I guess sugar fires are one of the easier household fires to extinguish. Now if I thought it smelled like a burnt marshmallow before.. WOO! It’s like girl scout camp all over again now! The entire house is full of smoke, the fire alarms are going off and we’re opening every window in the house. You are currently browsing the archives for the Beth category.